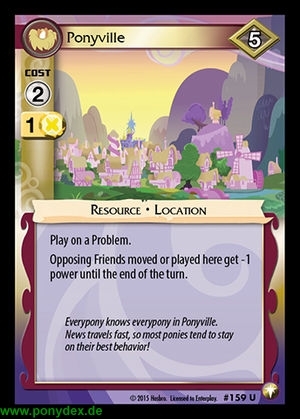 Play on a Problem.\r\nOpposing Friends moved or played here get -1 power until the end of the turn. Everypony knows everypony in Ponyville. News travels fast, so most ponies tend to stay on their best behavior!